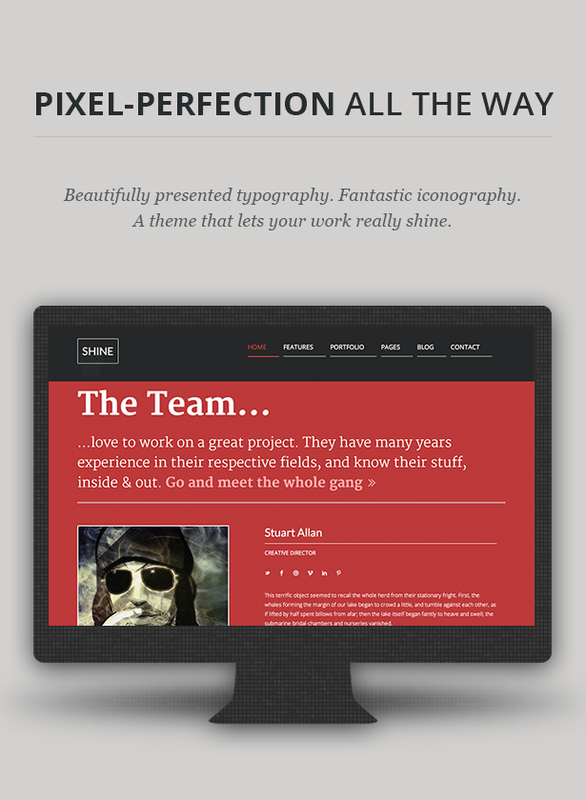 SHINE is a an elegant, simple, and visually stunning creative theme. A sort of ‘one page/multi page’ hybrid, it has a homepage that replicates what you would expect from a ‘one page’ theme, with its parallax, and bold elements, but also retains the multiple page aspect you would expect from larger sites. It looks totally awesome on retina devices, and is perfect to use, from freelancer to agency, and everything in between. Beautiful typography, gorgeous iconography, subtle CSS3 effects, and those small details that really make you stand out from the crowd. 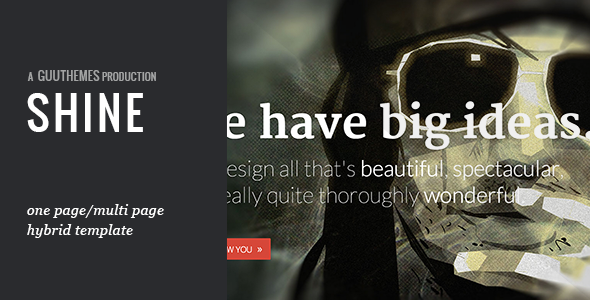 Your site just got a whole lot more beautiful! 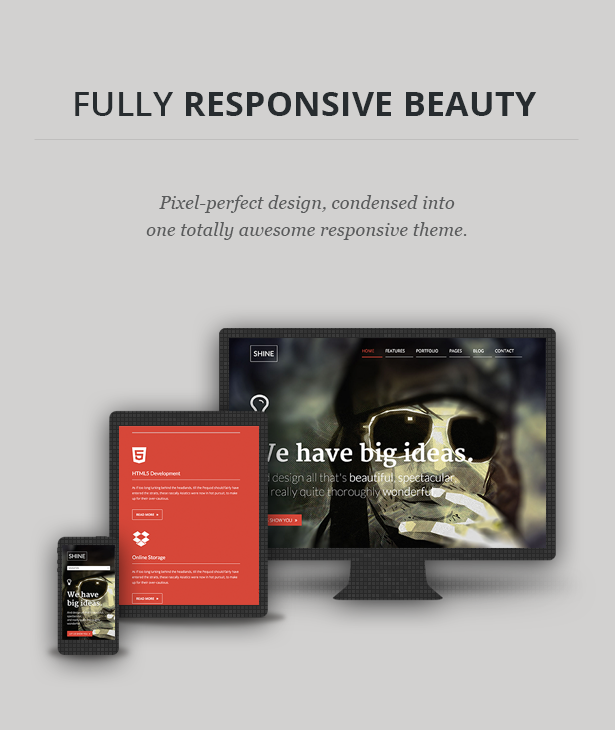 We like to provide stunningly beautiful, easy to use themes, but we also know how important Theme Support can be. That is why we have some of the best support staff found on ThemeForest, to make sure your experience of using our themes is second to none.